Eighty Sisters of the Holy Cross served the Navy as nurses aboard the USS Red Rover during the Civil War. The Red Rover was a hospital ship based in the Mississippi River. They were supervised by Mother Angela Gillespie, founder of the Sisters of the Holy Cross. 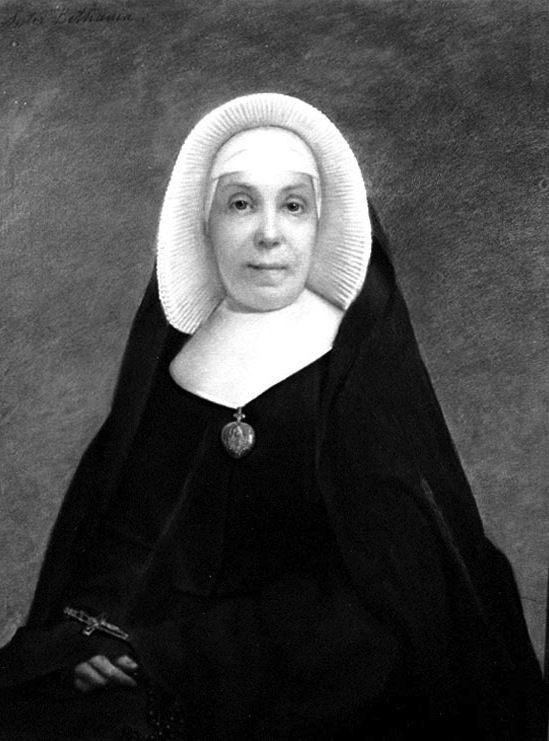 This engraving of Mother Angela comes from the U.S. Naval History and Heritage Command.